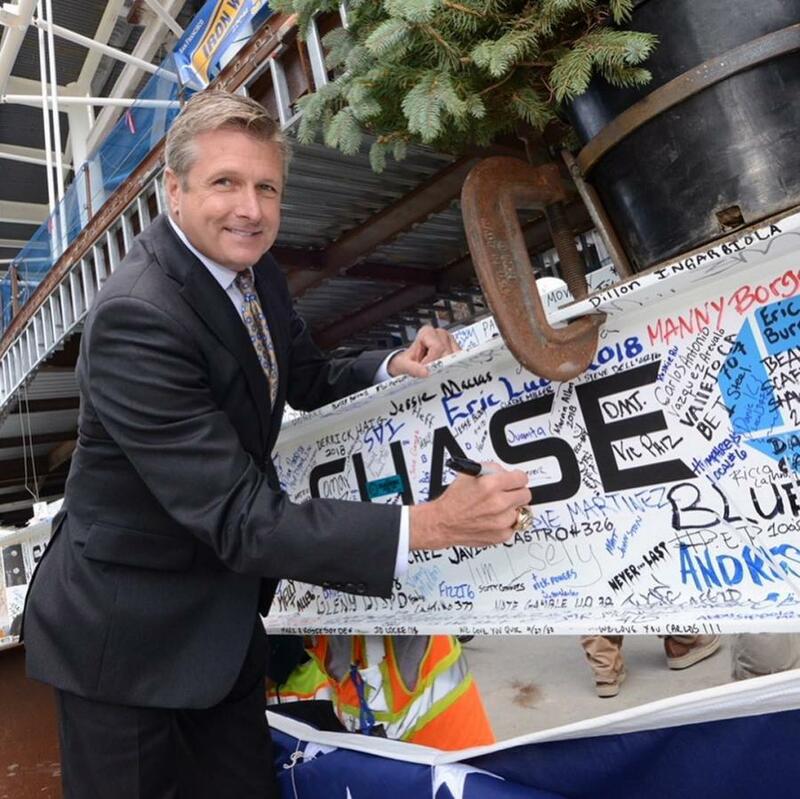 On Sept. 14, the Golden State Warriors, Chase Center and Mortensen/Clark Joint Venture held a topping out ceremony as the last piece of steel was lifted into place at the arena. 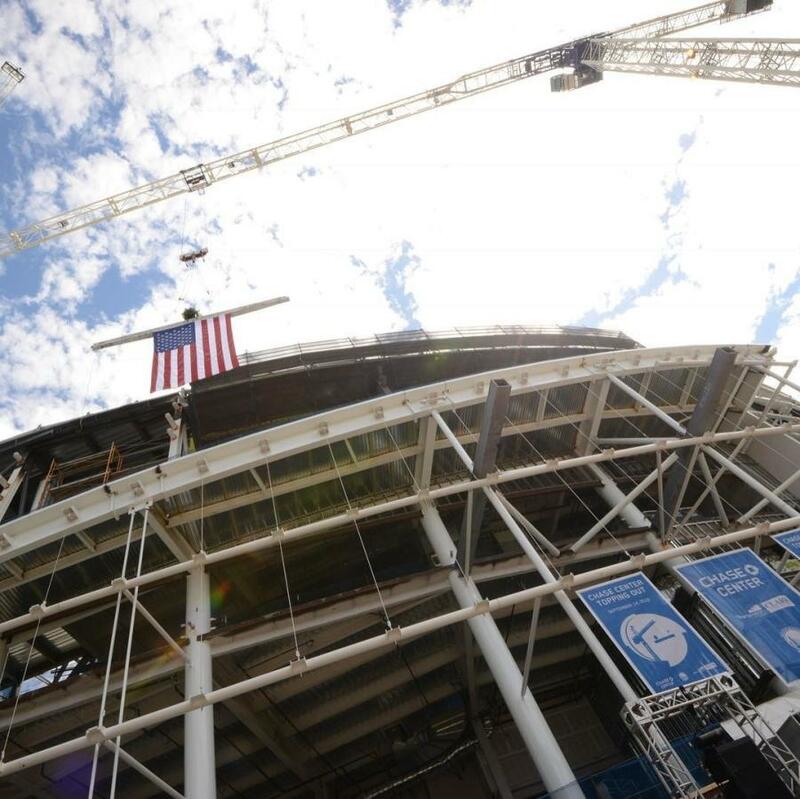 The Chase Center is on track to open for the 2019-20 NBA season in San Francisco's Mission Bay Neighborhood. Earlier this year, CEG spoke with Rick Welts, president and chief operating officer of the Warriors, who spent 17 years in New York as an executive in the NBA's league offices. The 18,064 seat Chase Center will consist of 580,000 sq. ft. of office space; 100,000 sq. ft. of retail space; a more than 24,000 sq.-ft, plaza; access to public transportation; more than 300 bike valet spaces; and 950 parking spaces. 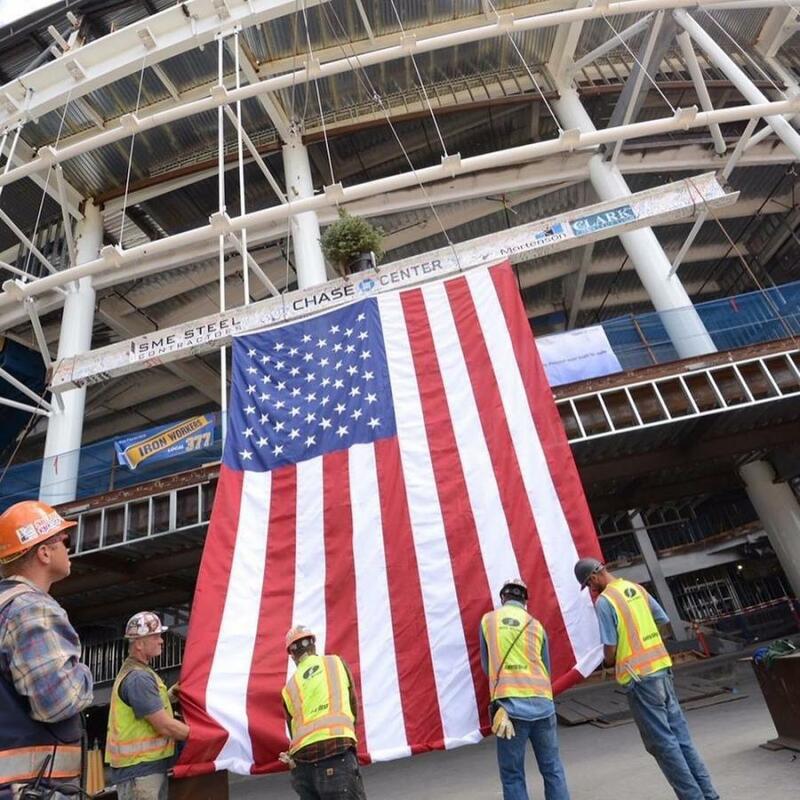 More than 9,000 tons of structural steel have been erected and more than 100,000 cu. yds of structural cast-in-place concrete will form the entire structure. 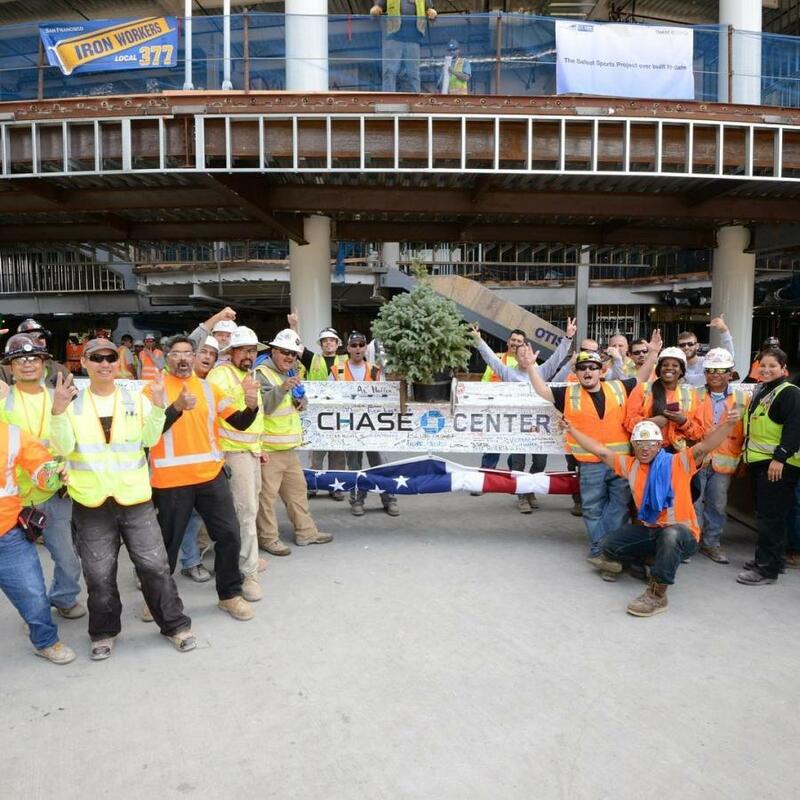 No taxpayer dollars were used to build the Chase Center, as it is being privately financed due to a partnership with JPMorgan Chase. It is also the first arena ever build on private land. For more information, visit constructionequipmentguide.com/1b-arena-awaits-warriors-return-to-frisco/39470 and chasecenter.com/.